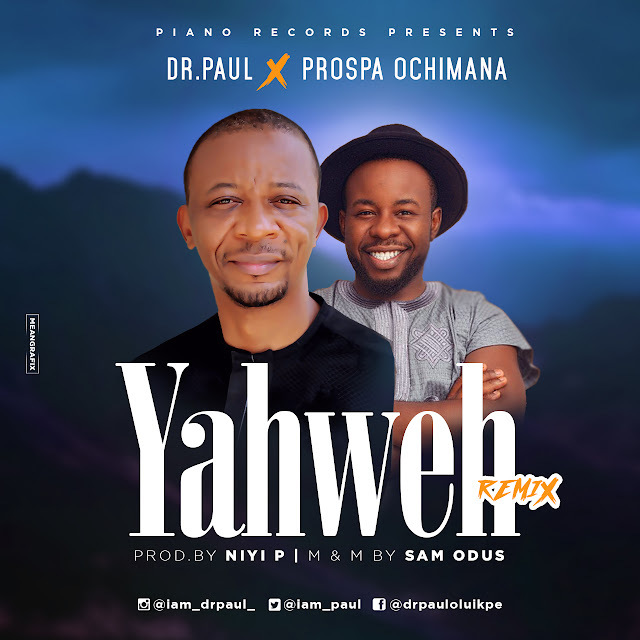 Dr. Paul has just dropped the much anticipated Yahweh Remix featuring Prospa Ochimana, the much beloved Ekwueme exponent. Dr. Paul's original song Yahweh has trended far and wide across the world and blessed lives and nations, hence the desire to issue this remix so the world could experience another dimension of the song. Produced by Niyi P, the top keyboard maestro and the official Sound Sultan producer and mixed and mastered by Sam Odus of Newtrends Studios.